• This is a 1/14 scale R/C model assembly kit. Length: 420mm, width: 187mm, height: 188mm. 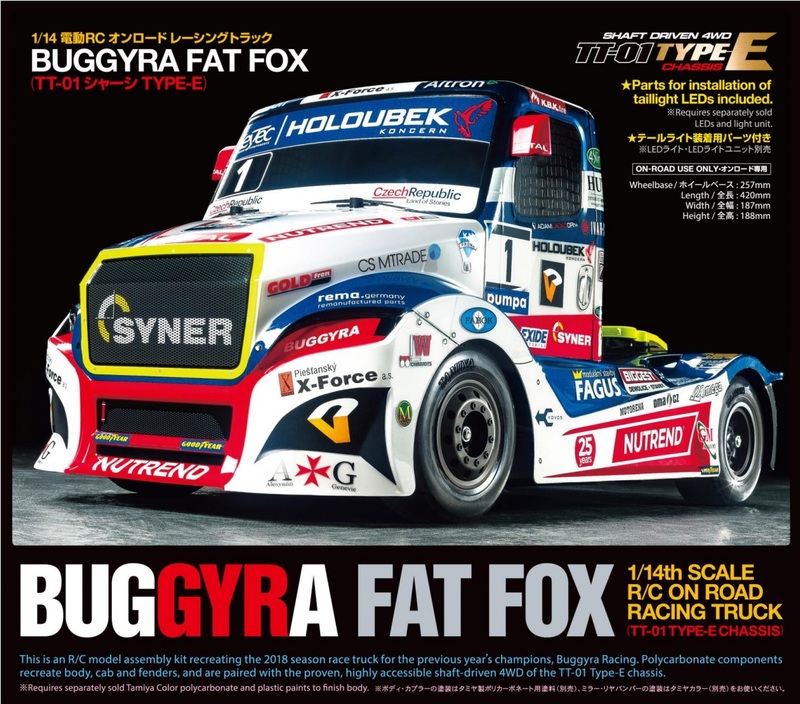 • The Buggyra Fat Fox form is captured by a 3-piece polycarbonate body (2 cab components and body) put together using double-sided tape. • Separate polycarbonate rear fender and coupler parts, moulded plastic side mirrors and 2-piece rear bumper. 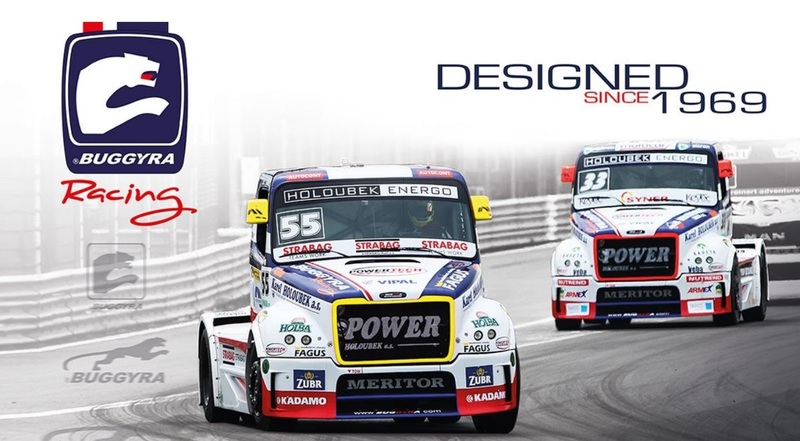 • Included stickers recreating the sponsors and livery of the #1 truck for the 2018 season, driven by Adam Lacko. • Black moulded wheels and 70mm diameter radial tires are specifically designed for racing truck models. • Features moulded parts compatible with 5mm taillight LEDs in separately-sold Tamiya LED Light Unit. • The TT-01 Type-E chassis features shaft-driven 4WD with easy handling and great customizability.